This my ‘The Takening’ review, sorry I mean ‘Taken 2’ Review and it’s a bit of a mixed bag of a film really. The story is pretty obvious and a little silly at times. The acting is pretty good from Liam Neeson as always but most of the cast fail to act at all. The films visuals were good, nothing special but I did like the car chases. Basically it’s a film I would watch if it was on TV but not pick it to watch over other films. Like the first film, I would watch that on purpose. This film isn’t really suitable for sequels and it suffers because of that obvious fact. Bryan Mills, the former CIA man who rescued his daughter Kim from some Albanian human traffickers, is being targeted by the families of the men he killed. When he goes to Istanbul on a job, he invites Kim and her mother, Leonor, whose marriage is on the rocks to join him. When the Albanians learn of this they try to grab them. They get Bryan and Leonor, he warns Kim and she evades them. Later he calls Kim to tell her to go to the Embassy but she insists that he let her help them. Bryan tells her to get his case which is filled with weapons and with that, she finds them and gives him a weapon. He escapes and plans to come back for Leonor but they are too many and is unable to save Leonor. So he relies on his memory to find her. To start off let’s talk about the acting. The acting was good from Liam Neeson but pretty much everyone else was terrible. Famke Janssen did the worst performance I have seen in while, shockingly bad (terrible). Maggie Grace does okay I suppose but I still think she is a bad actress and this film didn’t help that view. 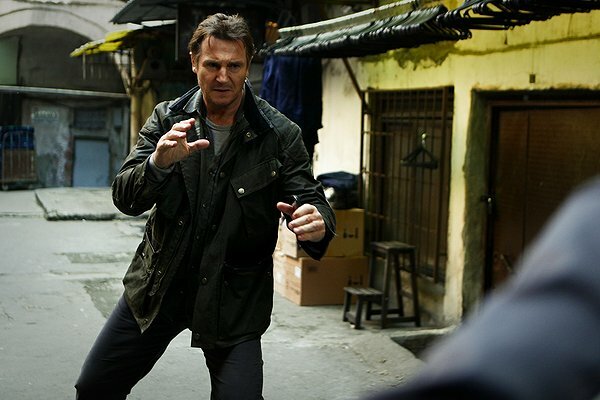 Finally the bad guys where the most generic foreign people who are just there as people for Neeson to shoot, not that it was too different in the first film. But you got the sense they were trying to make the villains more personal and it just didn’t work at all. I didn’t get the point of Murad the God father type role; he switched from competent to moronic constantly (I don’t like inconsistent villains). I am not sure if Murad’s death was supposed to be funny (don’t think it was) but I laughed considerably and I did hear a few others around me laughing. It’s not because his death is insane it’s because of how mundane the kill is. Screw it! Spoiler!!! Bryan Mills pushes Murad’s head into a peg on a wall, a PEG! If he walked away and said “Hang around” I would have wet myself. End of Spoilers!!! So let’s talk about something more fun like the visuals. The films physical props and visual landscape shots where very good, with great shots of Istanbul. The good thing about films like this are that there isn’t much of a budget and so everything looks more real because it normally is. I particularly liked the car chases around the city streets because they are very difficult to pull off in such cramped streets, and it was probably the most action packed scenes with the taxi and police chase. Not a great deal more to talk about so I will start rattling off things that annoyed me or was just funny when it shouldn’t be. Kim running around a heavily populated city throwing grenades seems somewhat reckless (it’s not just me right) I get it but surely there would have been a somewhat more safe option to make a loud noise. I think he left his wife unconscious around murderous criminals at least 3 times (no wonder they are divorced)once maybe, twice is neglectful but three times is just trying to get rid of her. The best reviews I found would be these “Fans of the previous film are likely to be left with a distinctly sour taste.” Film4. Yeah the film will disappoint somewhat when compared to the first, they don’t seem to be cut from the same cloth. “Neeson, despite having turned 60 in June, looks spritely enough in the role, and more than capable of another go-round should Taken 2 match its predecessor’s success.” Charles Gant. Yes Neeson did very good considering his age and he could easily be doing more films like this and would be interesting to see if he would be in the third film. “Megaton … could use some more lessons in directing as he bombs in his strained efforts to recreate Pierre Morel’s original.” Brett Michel. I agree with this but also when I saw the credits say Megaton I instantly thought Megatron was making films (I am not mature at all). My favourite scene would probably be Neeson hunting down the bad guys on his own and just killing everyone like the first film, but only a smaller part of the film. Good style and love the pictures! Great review, Tim! Same thing as the first lol, sometimes enjoyable but a lot of times not. 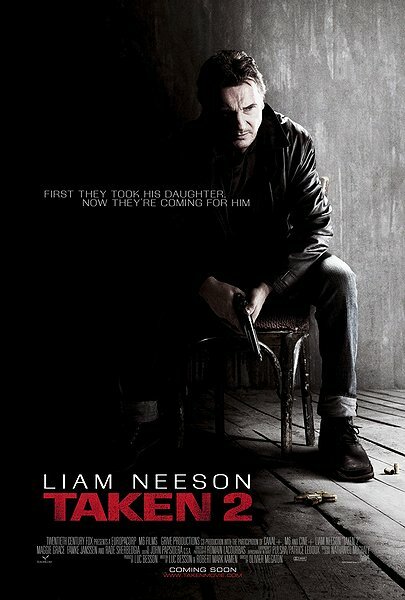 I like the first TAKEN movie but I think Neeson is taking this bad-assery a bit too far. Now every time I look at him I laugh because of that unintentionally funny quote by Bryan Mills about his um, special skills, ahah. I remember hearing the even Liam Neeson admitted it’s the exact same thing as the first one. Nice review. Good review, right on the money, not the best sequel, but worth watching i guess. Thanks Aaron. 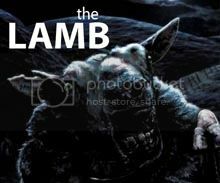 Its the type of film you’d watch if it appeared on the TV. I wonder who will get taken in the next one because you know they will make this a trilogy. Nice review. Never had much of a desire to see this one, but if it is on TV I might watch a bit of it to see how it is. Nice review mate, I wasn’t so kind in mine, looking back on it I was probably a bit bias, but I hated it! I still need to see Taken. Neeson seems like such an unlikely action star. You notice he wasn’t doing roles like this until after Batman Begins. I saw maybe 2 minutes of it and I am intrigued and interested in seeing more. Nice review Tim. This is a pretty obvious example of a sequel that’s only going for the pockets of the audience, but at least there’s still some dumb, idiotic fun to it for the time it’s on-screen. However, I do think that Neeson is getting a bit too old for these roles even though he just started it all up.